Around 4km north of Gdansk old town, straight along al. Zwyciestwa (Victory Avenue), you’ll find yourself in the heart of Wrzeszcz. After decades of neglect Wrzeszcz is truly on the up and is these days far more of a commercial centre than the centre of Gdansk itself. 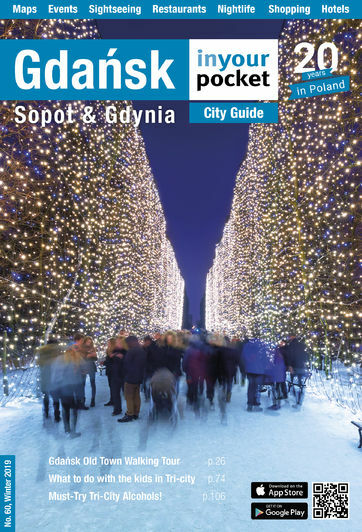 This is where you’ll find the biggest shopping mall in Gdansk, a rapidly expanding, modern, business district, the home of Gdansk University, the city’s newest large concert venue as well as 50,000 residents. While nowhere near as picturesque as Gdansk old town, the area is not without its attractions and points of interest. A growing number of decent cafes, bars and restaurants are also worth further investigation if you feel like getting away from the madding crowds of the historic centre. The first thing that stands out about Wrzeszcz (pronounced v-zeh-sh-ch) is the name – surely a word with that many ‘z’s and so few vowels can’t be spelt correctly? Granted it was easier to pronounce when it was known by the German Langfuhr, but the name actually comes from the Polish word ‘wrzos’ meaning heather. First written mention of the area dates to 1261 when a settlement known as Vrieszt was to be found here. In 1412 the district was awarded to Gerd von der Beke, an ally of the Teutonic Knights, before moving into the hands of the Bischof family in the second half of the 16th century. By the 17th century local tycoon Zachariasz Zappio had acquired much of the property between what is today ul. Do Studzienki and Słowackiego, building a palace there that proved grand enough for Polish king Jan III Sobieski to stay in back in 1677. It’s for this reason you’ll find nearby streets with regal connotations (Dolina Królewska - Royal Valley, and Królewski Potok - Royal Brook). You won’t find remains of the residence anymore, though one legacy of the past that survives to this day is the profusion of linden trees. It was the Bürgermeister Daniel Gralath who can claim credit for this, having commissioned the planting of four lanes of linden trees over a two kilometre stretch flanking the main high-street. The project, which was realized between 1767 and 1770, set him back 100,000 guldens, which we can only imagine to be a rather tidy pile of coins. But the glory days were yet to come. The 18th century saw intense construction occur, predominantly two storey manor houses complete with rooftop gardens touting footbridges, ponds and exotic plants. Wrzeszcz was becoming something of a fashionable area for those with cash to spare. In 1872, a tramline connecting the district to Gdańsk was added, while the early 20th century saw the construction of the Technische Hochschule (today Gdańsk Polytechnic) and the municipal hospital (now the medical academy). During the Free City of Danzig days Wrzeszcz’s population soared to 40,000 and it continued to serve as a home to the middle-classes, as well as unit of Prussian ‘Hussars of Death’. It was during this period that Nobel-prize winning writer Gunter Grass was born here. His work was often based on the Langfuhr and Danzig of his childhood and his most famous work, The Tin Drum, is set in the district around the time he was growing up. The outbreak of WWII saw the main thoroughfare, today al. Grunwaldzka, re-christened to Adolf Hitlerstrasse, and while central Gdańsk was flattened by the end of the war, Wrzeszcz escaped lightly in comparison. The post-war years, however, saw Wrzeszcz gradually slip into obscurity, its once grand houses left to rot. While you’ll still see many of these older buildings in need of some love and attention, many of the buildings and the older streets, such as ul. Wajdeloty, are being returned to their former glories thanks to public investment and the arrival of a younger, professional class attracted by the district’s increasingly trendy reputation. For starters there’s our Gunter Grass inspired tour which will give you the opportunity to see some of the old streets and get a sense of the pre-war Langfuhr. One key point of interest, not just for fans of the author, is the Sacred Heart of Jesus Church (ul. Księdza Zator-Przytockiego), while staying the religious theme there’s also the New Synagogue, one of the few remaining signs of Jewish history in the city. Impossible to escape in Wrzeszcz are students. It’s their presence that can be thanked for the numerous bars that can be found around the area, and for cut-price alcoholic adventure we suggest readers hit one of the student clubs situated on the end of ul. Do Studzienki.